Ahhh, Monday. We meet again. Does anyone else feel a) like summer is going by WAY too quickly, b) like they haven’t had nearly enough ice cream sandwiches for the season and/or c) like they need a vacation after every busy weekend? 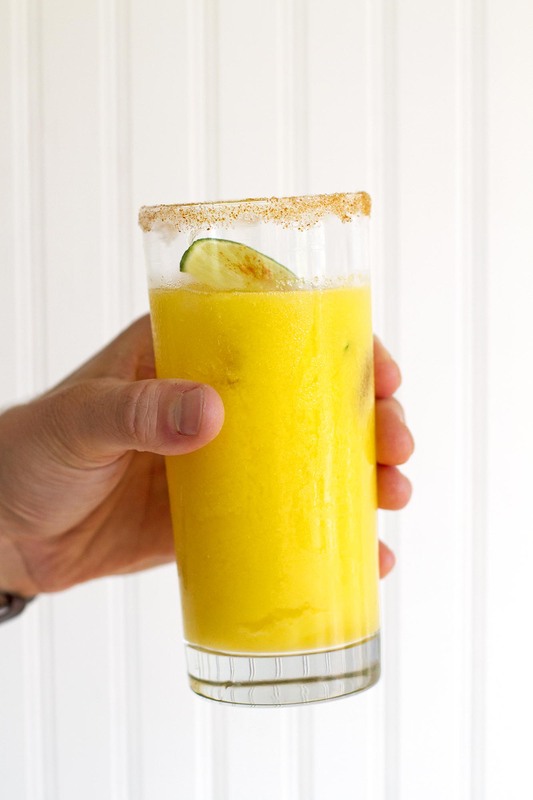 And also d) like they need this Sparkling Mango Chili Lime Agua Fresca in their life? I definitely feel all of the above. Especially the latter. Because one sip of this refreshingly sweet, spicy, sparkly drink and you’ll feel like you should have been drinking these all summer long. Good thing there are still a few weeks left! Oy, all of that was pretty negative, huh? I am sorry. It’s just that I am kind of exhausted, what with having chased a toddler around a zoo on Saturday, running errands on Sunday, preparing a house for a move, preparing a new house to be built, etc. etc. We are so grateful and excited about all of it, but it’s also… a lot. And with all this adulting, I need a beverage to quench my thirst and give me energy for each day — nay, hour — ahead. This agua fresca is actually the very first agua fresca I’ve ever had in my life. I KNOW. I’ve been too busy eating ice cream sandwiches, you see. But now that I’ve had the pleasure of drinking an agua fresca, I will never go back to not drinking them. 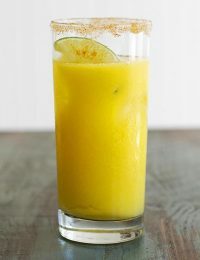 And this one, with sparkling water, fresh pureed mango, a squeeze of lime juice and agave nectar and a pinch of cayenne pepper, will always be at the top of my to-drink list. It’s refreshing in the best ways, full of flavor and sweet heat, and just the thing you need after a hot day at the zoo/signing papers/doing laundry/being an adult. You deserve it after all of your hard work (and yes, yes I would support adding a splash of tequila if it’s 5 o’clock somewhere). Of course, you can tailor this recipe to your own tastes (like the aforementioned tequila, for example). You can add more agave nectar if the mango isn’t quite sweet enough. You can blend in a pinch of cayenne pepper if you really want to turn up the heat. 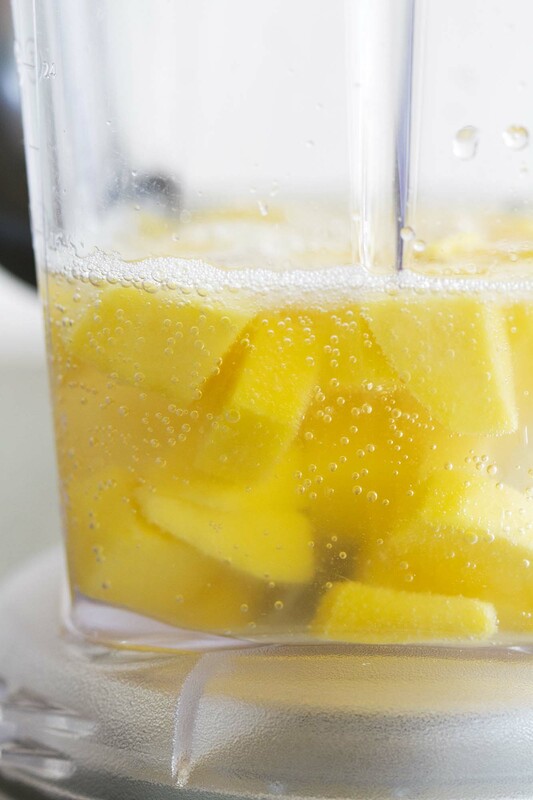 You can use a flavored sparkling water instead of plain like I did, or swap some of the fresh mango for another fruit like strawberries or pineapple. The agua fresca is your oyster! The world is your agua fresca! I dunno. I’m tired. Dream situation right now: An extra week or two of summer. 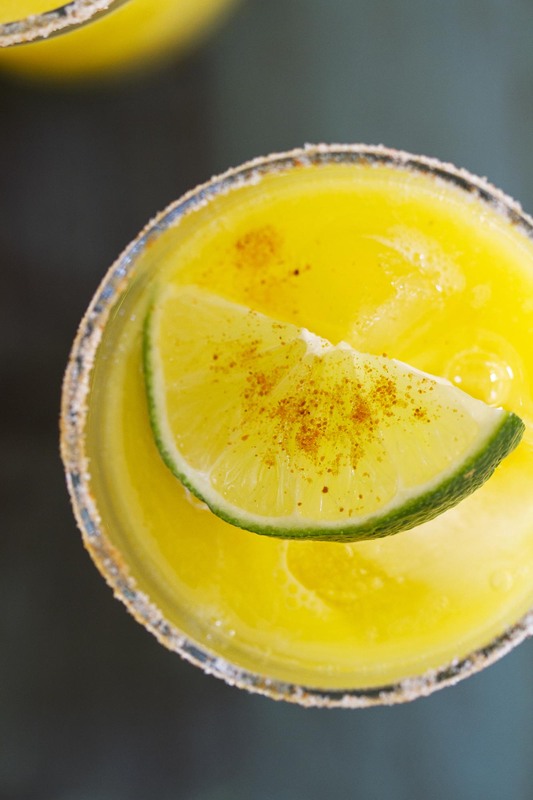 A glass of sparkling mango chili lime agua fresca. A beach vacation. A glorious nap. The end. 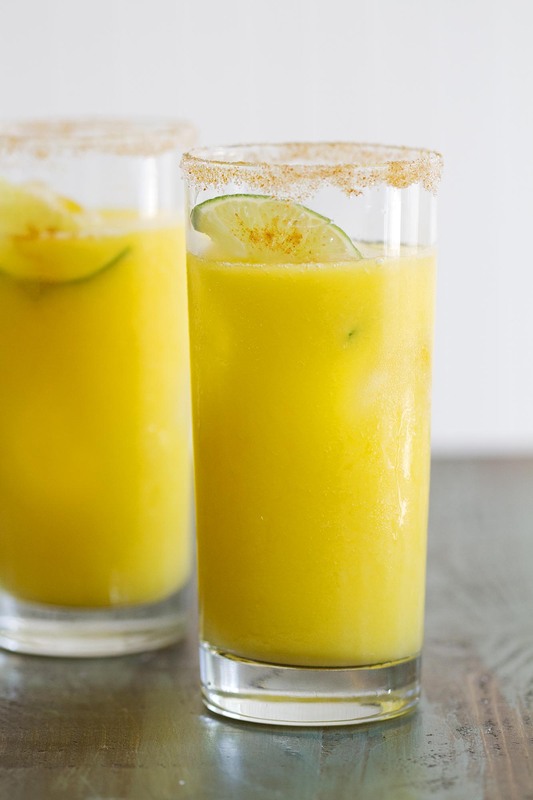 In blender, puree mango, water, lime and agave nectar until smooth. Rub lime wedge on rim of 2 drinking glasses. On small shallow plate, combine sugar and cayenne pepper. 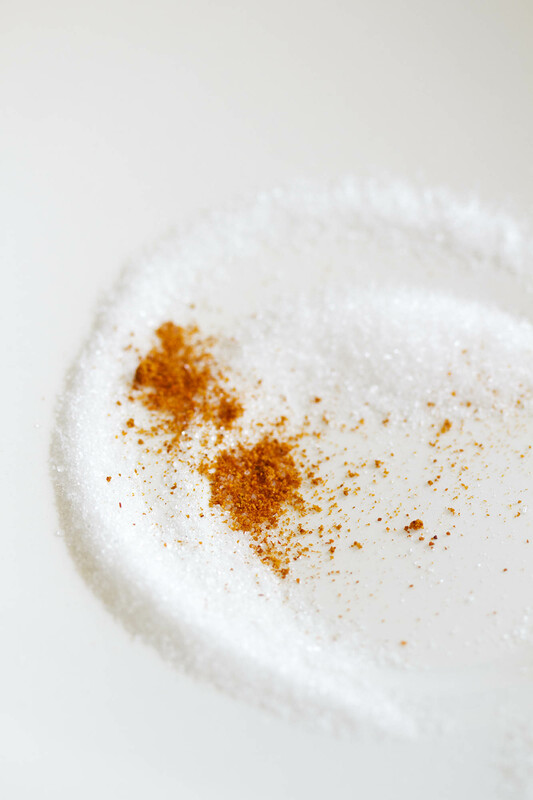 Roll rim of each glass in sugar-pepper mix to coat. Add plenty of ice to each glass. Pour mango mixture evenly between glasses. Stir in more agave nectar for sweetness, if desired. 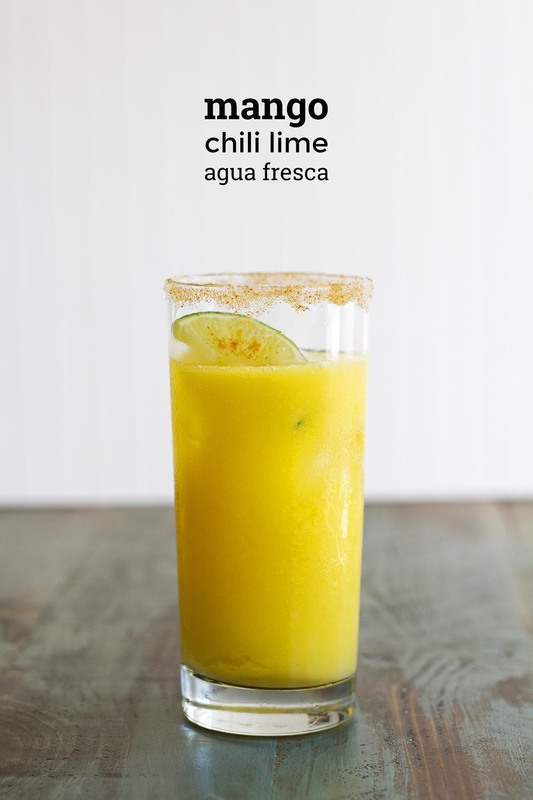 I love the chili and sparkling water you added to this agua fresca. I feel like I still need a vacation for this summer, and more ice cold drink. At least one of those is easy enough to achieve. I agree, summer is going too fast! This sounds like the perfect drink to have on some of our last summer days of 2016! Miranda — For sure! Thanks!